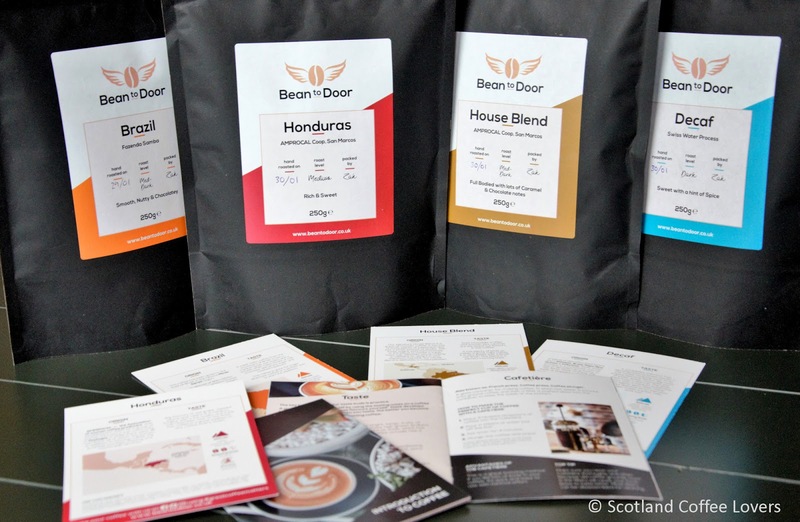 Bean to Door is a new Edinburgh-based coffee subscription service designed for coffee lovers who are relatively new to specialty coffee and/or those who prefer a fairly traditional flavour profile. There's been a lot of media coverage lately about coffee drinking in the UK. On a positive note, the publicity about the environmental disaster of non-recyclable cups and pods will hopefully drive sustainable change. On the negative side, much of the hype has been about old styles vs new, big chains vs independents, reaching saturation of coffee shops generally, and quite a bit of complaining about hipsters and "why we can't just get a plain cup of coffee anymore". There's so much division in the world about so many things: 'us and them' all the time (and lots of it about more important issues sniping about coffee trends). Wouldn't it be better if we all just enjoyed the fact that we share an enjoyment of coffee? Instead of dwelling on how some people like a fruity, natural, Ethiopian pourovers while others look forward to their un-named Americano with hot milk to wake them up in the morning, wouldn't we be better off talking about whether the coffee farmers are paid fairly for their work, or how those farmers are sustaining their families and environment? Let's focus on what's most important and on the joy coffee brings us all! On that note and getting back to Bean to Door, I caught up with Cat O'Shea to get the run down. I'm always interested in sharing Scottish coffee developments, but hearing Cat was involved piqued my interest. Prior to moving to Bristol to work with Clifton Coffee, Cat roasted for Edinburgh's Artisan Roast. 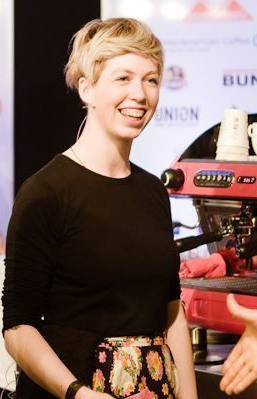 She's a Certified Q Grader, has rated highly as a competitor in both roasting and barista championships over recent years as well as coaching and judging. Needless to say, Cat's a bobby dazzler when it comes to specialty coffee. Cat is currently applying her considerable skills and knowledge to setting up the coffee side of Bean to Door - targeting coffee lovers who are relatively new to specialty coffee. They've done a lot of market research and know there's a huge number of people who love coffee, appreciate flavour but want familiarity and affordable prices. 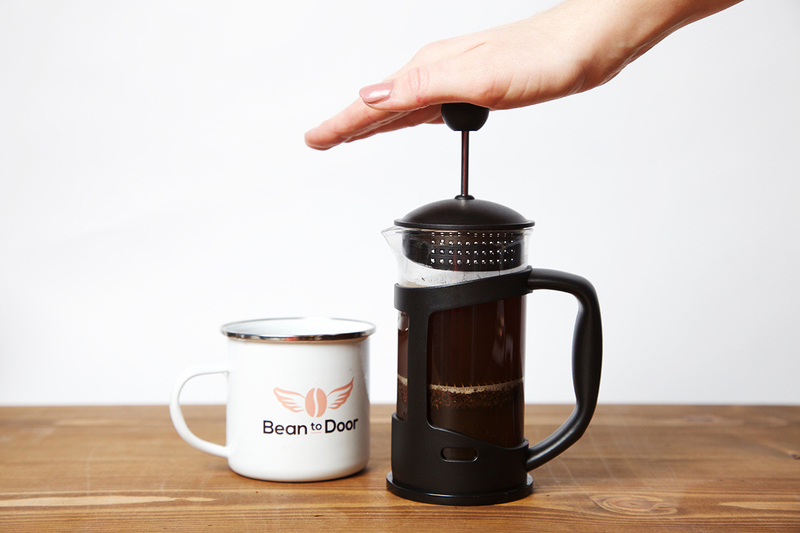 Bean to Door are starting at £3.95 for 250g of their House Blend and aiming to lure supermarket coffee buyers toward tastier, fresher options. Cat's sourced the beans, worked with a roaster in Edinburgh to hone the roasting profiles and written an Intro to coffee booklet to help coffee lovers perfect their home brew. They come in letterbox-friendly packaging, a choice of whole bean or pre-ground, have tasting notes, and the Intro to coffee arrives free with everyone's first order. Cat's using small UK-based trusted green coffee importers who have long term relationships with the farms they represent. In time, Bean to Door want to work directly with their key farmers, putting in place projects that give back and support those communities. I've been on a bit of a journey of discovery here - and Cat has been a helpful teacher! Bean to Door are creating their 'medium' roast at about 70 and their Decaf is around 55 on this scale - which balances familiar favours with discernible depth and complexity (and is a darn sight tastier than the coffee that chain coffee shops serve). Overall, Bean to Door is looking to make good quality, fresh coffee more accessible to the majority of UK coffee drinkers in a sustainable and supportive way. Can't argue with that! You can also expect their offering to get more sophisticated as add to their range and choices of subscriptions.